ABSTRACT. This report utilizes well-established principles of both treaty and customary international law as a measuring stick for attempting to determine the legal and moral legitimacy of the covert U.S. policy of using drones to attack targets in Pakistan. This analysis is unique in that it uses both broad assessments as well as pertinent individual case studies with the purpose of chronicling the details of several drone attacks over a period of 45 months in the interest of legal evaluation. Drawing from a vast collection of reliable press reports, independent human rights testimonies, and the most prominent, mainstream studies, this report is quite possibly the most comprehensive analysis on the topic to date and likely the first of its kind to appear in the wake of the US-Pakistan drone controversy. For nearly four years, the United States has been using unmanned aerial vehicles, also known as “drones,” to repeatedly bomb targets in Pakistan. The drone strikes, operated primarily by the CIA, are reportedly launched with the intention of killing top al-Qaeda and Taliban leaders and holding the Pakistani government accountable. Since the Obama administration has taken office, the U.S. campaign of drone strikes in Pakistan has markedly intensified, consistent with the trends established in the final eight months President Bush’s second term. Although the bombings of Pakistan fall into a much broader strategic U.S. policy in the region, it is the purpose of this analysis to focus solely on the legal implications and human costs of the drone strikes in Pakistan. First I will review the existing reports entailing the legal status—combatant or noncombatant—of those killed in U.S. attacks. Secondly, I will provide a brief and basic overview of the laws of war and their immediate applicability regarding the protection of civilians and noncombatants in international armed conflicts in accordance with the Geneva Conventions of 1949, the Additional Protocols of 1977, and customary international law. Third, I will examine several case studies of various U.S. drone attacks in Pakistan in order to determine whether or not international law is being observed by United States. Fourth, I will briefly evaluate the fundamental legal credibility underlying the attacks using both the existing analyses provided by legal scholars and rights groups and well-established principles of law rooted in the Fourth Geneva Convention and the International Covenant on Civil and Political Rights. Fifth, using the available body of documentary evidence compiled by independent journalists, human rights groups, strategic analysts, media reports, and legal experts, as well as taking into consideration the basic tenets of international law in the context of the U.S. attacks, I will juxtapose the substance of U.S. actions with fundamental American legal standards with the purpose of establishing an appropriate technical classification for the United States’ drone policy in Pakistan. Lastly, I will conclude this analysis with a few final remarks addressing unanswered questions while also making some basic recommendations. I am going to argue the position that the United States is in violation of international law on several counts in regards to its bombings of Pakistan. Drawing on highly relevant and uncontroversial legal precedents established by the International Criminal Court, I will argue that strict adherence to even the most elementary standards of international law would require criminal prosecution of several high-level Bush and Obama administration officials ranging from the state department to the CIA. The most cited and controversial report to date on the casualty results of U.S. drone strikes is the April 2009 report published by Pakistan’s leading English daily, The News. The report was authored by Amir Mir who is known by leading American strategic analysts as “a well-regarded Pakistani terrorism expert.”  The report, relying on internal Pakistani government sources, alleges that from January 14, 2006 to April 8, 2009, U.S. drone bombings killed 687 civilians and 14 al-Qaeda operatives, amounting to a ratio of nearly 50 civilians killed for every al-Qaeda operative killed, or a 94% civilian death rate. Out of 60 total strikes, only 10 hit any al-Qaeda targets. The sources attributed the failed drone attacks to “faulty intelligence information” which resulted in the “killing [of] hundreds of innocent civilians, including women and children.” It goes on to detail the numbers of deaths, the statuses of the victims, and the dates of specific attacks, all within annual and monthly time frames. The Brookings Institution published an analysis of the U.S. drone policy in Pakistan last July. The analysis, written by Senior Fellow, Daniel Byman, concluded that despite the difficulty in determining exact numbers of civilian casualties, it was likely that “more than 600 civilians” have been killed by U.S. attacks at the time of writing. “That number suggests,” the report continued, “that for every militant killed, 10 or so civilians also died.” This assessment is highly significant for multiple reasons. The centrist Brookings Institution is arguably the most powerful and influential think tank in the United States, as noted by the authoritative Think Tank Index magazine. Brookings also routinely garners by far the most media citations annually. To say the least, it is quite noteworthy that the most mainstream and establishment think tank in the United States has gone on record saying that 90% of those killed in U.S. drone attacks in Pakistan have been innocent civilians. In regards to the October 2006 strike in Bajaur province, the only citation provided by the authors is either inaccessible or nonexistent; however, it’s irrelevant because the Pakistani newspaper, DAWN, covered the strike in detail at the time and it subsequently contradicts the authors’ assertions that the 80+ people killed were militants. When the Bergen-Tiedemann findings are adjusted to correct their mistakes for casualties in 2006, the civilian death toll becomes 352-416 or 46-41% (respectively) of the total body count. Furthermore, there appear to be significant gaps in the authors’ calculations of the range of civilians likely to have been killed in drone strikes launched in the year 2009. For example, in appendix 1, each drone strike documented details the number of people killed for each of the following groups: Al Qaeda/Taliban leaders, Al-Qaeda/Taliban (lower-level militants), and “others” which includes civilians and often times, the total number killed in the particular attack. In the list of strikes and casualties for the year of 2009, the total number of “others” exceeds considerably the range of civilian deaths cited by the authors for the same time period (see appendix 2) even when the total of the “others” is derived after subtracting the corresponding tallies of militants and militant leaders (when the distinction is made). This suggests that the authors are willing to, at times, assume that unconfirmed, or rather, unidentified victims  may be included in the possible range of militants killed but not in the corresponding civilian totality. These assumptions undermine the validity of Bergen and Tiedemann’s calculations for the year 2009 (of militant-civilian ratios) and subsequently suggest that the number of civilian casualties in 2009 may be significantly higher than conveyed by the numbers produced by Bergen and Tiedemann. This problem is compounded by the fact that of the 43 drone strikes launched in 2009 (up to October 19) in 12 cases, the number of people killed, as well as the legal status of the victims, was “unknown”—due to no fault of the authors—and therefore could not be factored into the ratio calculations at all. For the years 2007 and 2008, the authors’ findings, classifications, and citations appear to be consistent with the available documentary record. The rate of “unknown” casualties is also much lower for these periods. It is worth noting that for 2008, according to the Bergen-Tiedemann analysis, nearly 60% of the casualties were found to have likely been civilians. Overall, the Bergen-Tiedemann analysis—especially when adjusted for its demonstrable factual errors for drone strikes in 2006—reveals that a very large number of those killed by U.S. drone strikes are in fact civilian noncombatants (between 41-46%). Moreover, when one considers the aforementioned gaps in the Bergen-Tiedemann findings as well as the ambiguity and obscurity entailed in a considerable number of media reports regarding the legal status of the victims, it seems reasonable to conclude that the civilian death toll may indeed be considerably higher, as suggested by the other analyses cited here. Either way, it is apparent that civilians are being killed a rate close to that of suspected low-level militants, if not significantly higher. In addition, it is important to note that many Pakistanis have since been killed by drone strikes in the months following the publication of both the Brookings analysis and the Bergen-Tiedemann casualty report. Many more have been killed—likely well over two hundred—in the seven months that have passed since the Mir report was published in The News. Due to both the covert nature of the U.S. attacks as well as the difficulty of verifying testimonies, events, and reports from Pakistan’s often tumultuous tribal regions, it is virtually impossible to confirm or establish exact casualty numbers of militants and civilians. Many of the media reports cited in the Bergen-Tiedemann analysis, for example, are problematic due to the fact that reported casualty numbers and legal statuses of the victims are quite often derived solely from the statements of government officials who, as Bergen and Tiedemann openly concede, are more than likely to make sweeping claims that only militants, and no civilians, were killed in any given strike. Yet in spite of these difficulties, observers have every reason to suspect and reasonably conclude that, as all of the aforementioned reports suggest, civilians are being killed a rate close to that of suspected low-level militants, if not at a rate that greatly exceeds the numbers of suspected militants and leaders killed. Furthermore, it is a matter of zero controversy that the intended targets—high-level leaders of al-Qaeda/Taliban—are rarely killed; of the roughly 1,000 people killed by U.S. drone strikes in Pakistan, only about twenty were leaders of militant organizations. The U.S. government essentially has a policy of not speaking publicly about the drone attacks in Pakistan, except of course, when on extremely rare occasions, they hit their “high value” targets. Officials do routinely claim though, that the attacks are “very precise and [are] very limited in terms of collateral damage.” However when asked for evidence to back up their claims—perhaps just a list of civilian casualties to prove their assertions—officials always refuse. One of the leading investigative journalists in the U.S., Gareth Porter, writes that the government’s “refusal to share…even the most basic data on the bombing attacks…suggests that managers of the drone attacks programs have been using the total secrecy surrounding the program to hide abuses and high civilian casualties.” Indeed, if the attacks are in fact minimizing civilian casualties, why wouldn’t the government produce evidence to set the record straight? Surely releasing such information is not a matter of security; the government regularly brags about the fifteen or so al-Qaeda leaders they have killed. The truth is, of course, that by all informed and independent accounts, the drone attacks are killing a very significant number of innocent and defenseless civilians. Until the government—or anyone else for that matter—provides evidence to contradict the existing documentary record, interested parties will have to reject unqualified, unsubstantiated, and self-serving claims that the U.S. attacks are minimizing civilian killings. The Additional Protocol I to the 1949 Geneva Conventions relates specifically to the “Protection of Victims of International Armed Conflicts” and is widely understood to represent customary international law. It has been a key document—perhaps the key document—in the International Criminal Tribunal prosecutions of war criminals in regards to conflicts in Sierra Leone, the Former Yugoslavia, and The Democratic Republic of Congo. It should be noted that while the United States is a signatory to the Additional Protocols of 1977 it has not yet acted to ratify them. With a handful of exceptions aside, virtually the entire world—168 states—has ratified the Protocols, including every European state. Despite having actively been involved in drafting the Protocols along with every other major world power, the U.S. refused, and presumably continues to refuse ratification on the basis that, Protocol I in particular, “legitimize[s] groups involved in wars of national liberation,” a claim that, even if it were true—the Protocols were designed strictly to protect all civilian populations—it is not morally clear why that would be undesirable, especially given the revolutionary history of the Americans. It is also of considerable significance that the Additional Protocols of the Geneva Conventions have been absolutely vital in their role in helping to bring war criminals to justice in international prosecutions that were indeed supported by the United States, most notably in the case of the Former Yugoslavia. Even momentarily putting aside the universal principle of customary international law, certainly all would agree that if it is proper to convict some war criminals on the basis of the provisions in the Protocols, then it is appropriate that the respective principles should apply to all parties in all armed conflicts. It is for these reasons that I will argue that the basic provisions and principles in the Additional Protocols in actuality do apply to the United States and its drone policy specifically. Likewise, I will also argue that the major breaches of international law—those cited and reviewed in this analysis—committed by the U.S. in its drone attacks indeed constitute violations of universal customary international humanitarian law in accordance with the opinion of the International Committee for the Red Cross. In the forthcoming case studies of U.S. drone strikes in Pakistan, I will focus attention primarily on the following Articles of Additional Protocol I: Article 17 (Role of the civilian population and of aid societies), Article 51 (Protection of the civilian population), Article 52 (General Protection of civilian objects), Article 53 (Protection of cultural objects and places of worship), and Article 57 (Precautions in attack). These Articles and the fundamental provisions and principles which they largely—if not entirely—represent, reflect the well-established and generally uncontroversial rules of customary international humanitarian law. In these instances for the sake of concision and clarity, I will cite the aforementioned Articles from Protocol I. It stems from these presumptions then that in the following case studies it is to be assumed that invocations of the most basic principles in Protocol I constitute customary international humanitarian law. As a matter of clarification, the case studies reviewed here have been selected not for their uniqueness, but precisely for their relative, practical equivalence in relation to other U.S. attacks on Pakistani targets. While it is true that some cases have been specifically chosen to illustrate certain violations, on the whole the selected cases are, more or less, typical of U.S. drone strikes in Pakistan. After evaluating the impending case studies in the context of these Articles, I will briefly introduce Article 6 of Additional Protocol II and Article 6 of the International Covenant on Civil and Political Rights with the purpose of establishing a slightly different though highly relevant framework for evaluating the principle presupposition underlying the legal rationale for the U.S. attacks. The first case study selected is the September 8, 2008 missile attack on a North Waziristan village. The drones fired at least five missiles at a religious school founded by Jalaluddin Haqqani—a Taliban leader (who was formerly financed by the CIA) and the official target of the U.S. attack. At least 17 people were killed with some estimates reaching as high as 23. Of those killed, at least eight were children. Haqqani’s wife, sister, and sister-in-law were all killed as well. Roughly twenty were wounded, most of which were women and children according to doctors on the scene. Haqqani was not present at the time of the bombing. Firing several powerful missiles into one building is definitively indiscriminate in terms of distinguishing between military and civilian targets. Article 51(4) clearly prohibits attacks which fail to discriminate between military and civilian objects and targets. It states that “an attack which may be expected to cause incidental loss of civilian life, injury to civilians, damage to civilian objects or a combination thereof, which would be excessive in relation to the concrete and direct military advantage anticipated” is prohibited. It also seems evident that the U.S. planners of the bombings did not take the necessary precautions required by Article 57 to make certain that civilians would not be the object of attack. Section 2 of Article 57 states that “those who plan or decide upon an attack” must take “all feasible precautions in the choice of means and methods of the attack with a view to avoiding…[or] minimizing, incidental loss of civilian life….” Planners of the military action must “do everything feasible to verify that the objectives to be attacked are neither civilians nor civilian objects….” No evidence was or has since been produced that would suggest any such precautions were taken in earnest. It should be further noted that the documentary record of U.S. drone attacks in Pakistan reveals a disturbing trend of inadequate and insufficient efforts to comply with this aspect of international law. In the next case study I will take a closer look at these trends in particular. In one of the earliest drone attacks in Pakistan, the U.S. fired several missiles—as many as ten—into the village of Damadola, located in the Bajaur tribal area on January 13, 2006. According to The Washington Post, “the target was a dinner celebrating the Muslim holiday of Eid al-Adha.” The individual whom the U.S. was hoping to kill was Ayman al-Zawahiri, an al-Qaeda deputy. The CIA had reportedly received some evidence—possibly derived from an interrogation of another al-Qaeda operative—that al-Zawahiri was going to be attending the holiday dinner. This case study will deal with two major aspects of apparent legal violations, namely those of indiscriminate attacks and the failure to take the required precautions in carrying out the attack. The attack seems to fall unambiguously into the category of Article 51(2) which states that “the civilian population as such, as well as individual civilians, shall not be the object of attack” under any circumstance. Given the apparent level of practical information likely to have been possessed by the planners of the attack prior to the actual strike, the bombing appears to constitute a willful and direct attack on civilians. The next case study will review this particular principle more closely. For the moment though, I will continue forward on to the second major aspect of legal accountability in the current case study. From the reports cited above it appears that the “evidence” possessed by the CIA regarding the supposed presence of Ayman al-Zawahiri at the dinner party stemmed from “from the interrogation of another al-Qaeda leader, Abu Faraj al-Libi, who had been captured eight months earlier.” It is almost certain that al-Libi was tortured into providing such information, which according to Pakistani intelligence, turned out to be totally false rather than just “slightly off.” In this context it appears quite likely that U.S. planners did not even begin to approach their minimal obligations required by all forms of law to, as it is stated in Article 57(4) “take all reasonable precautions to avoid losses of civilian lives and damage to civilian objects.” Section 2 makes clear that planners of the attack must “do everything feasible to verify that the objectives to be attacked are neither civilians nor civilian objects.” Commanders are required under the same section to “refrain from deciding to launch any attack which may be expected to cause incidental loss of civilian life….” A small bit of information provided from one man (likely under considerable duress) clearly does not constitute “doing everything feasible to verify” the information, and more importantly, to verify that civilians would not be in the line of fire. If this could not be verified or guaranteed to a reasonable degree, the strike should not have been permitted. The obvious fact, as noted above, is that bombing entire houses to ostensibly kill one or more individuals inside, simply cannot be a lawful discriminatory attack unless it is absolutely clear that only lawful military targets are inside and that the physical object of attack is being used for military objectives. These findings suggest systematic and egregious violations of Article 57 of Protocol I regarding “Precautions in attack.” Taking all feasible precautions prior to carrying out military actions in order to ensure the protection of civilians and noncombatants is universally recognized as a fundamental principle of customary international law as well. Regrettably, such reports also coincide well with the documentary record of the bombings which reveal functionally methodological patterns of a total lack of precaution being taken over and over again in the U.S. campaign of drone strikes. Purchasing data seems inherently unreliable in itself, especially when those being paid and solicited are some of the most poor and desperate people in the world. The use of microchips is also inherently unreliable and insufficient as a means of taking precautions and verifying targets to ensure the protection of civilians and civilian objects, as is unequivocally obligatory by all interpretations of international humanitarian law. Coupled with the reportedly poor visibility of the drones’ thermal cameras, these practices are a virtual recipe for indiscriminate attacks and attacks on individual civilians and civilian populations, quite possibly constituting serious war crimes or crimes against humanity. Based upon available reports and evidence, as well as the tangible results of numerous U.S. attacks over an extended period of time it appears quite apparent that even minimal precautions—let alone “all reasonable precautions” which is required by law—are not being undertaken by U.S. planners. This suggests a callous disregard not only for well-established international law, but for innocent civilian life—including children—in Pakistan on the part of the United States government. There is no doubt that U.S. officials are certainly aware of the predictable consequences of their actions and the risks to civilian life that are being taken by those planning and carrying out the drone attacks. Case Study #3 will first address the principle of discrimination using a May 2008 bombing which successfully killed an alleged al-Qaeda target. Next, using as examples, two additional attacks, (October 2006 & October 2009) as well as the aforementioned May 2008 strike, I will briefly look at the role the U.S. attacks are playing in disrupting the then-Pakistani peace process. On May 14, 2008 two hellfire missiles were fired into the Damadola area killing 12-15 people—possibly more—and injuring an untold number of others. The presumed target of the strike, Abu Suleiman al-Jazairi, “a highly experienced Algerian militant,” was killed in the attack. The buildings attacked by the drone included a two-story compound where “militants” were thought to be having dinner and the home of a local “militant commander.” Pakistani security officials “presume[d] that all those present there [had] been killed.” By all accounts, women and children were among the dead although the exact number is unknown. This attack is unlike the previous case studies only in that it actually succeeded in hitting its target. The same principles apply in terms of the failure of the U.S. attackers to distinguish between military and civilian objects and targets. Like the previous case studies, the May 14, 2008 strike (henceforth “the May 2008 strike”) represents a clear violation of sections 4 and 5 of Article 51 which prohibits attacks that treat military and civilian objects as one in the same. Article 50(3) states that “the presence within the civilian population of individuals who do not come within the definition of civilians does not deprive the population of its civilian character.” The May 2008 strike has since proven to have killed perhaps over a dozen people—including women and children who under the law enjoy the highest protections against attack—in the process of assassinating one man. Thus, according to the Additional Protocols of the Geneva Conventions, well-established customary international law, and the ruling of the highest court in the world, indiscriminate attacks—the defining characteristic of U.S. drone strikes—which kill or injure civilians are not to be considered “accidental” or “unintentional” but rather “direct attacks against civilians.” Under the law, such attacks fall into the same category as a suicide bombing in the sense that it is by definition, nondiscriminatory and thereby considered to be plainly an attack on civilians. This reflects the principle of proportionality as it applies to discrimination. The second aspect of the May 2008 strike that needs to be addressed is the timing of the attack. According to a report issued in the prominent Pakistani newspaper, DAWN, which consistently provides reliable coverage from the tribal areas, “significantly, the missile strike came while a prisoner exchange was taking place between the government and militant commander, Baitullah Mehsud in South Waziristan.” The article goes on to quote a “militant spokesman, Maulvi Muhammad Omar” who observed that “the missile strike was an attempt by the United States to derail the peace process between militants and the government.” In itself, the timing may or may not have been incidental and the assertion that the U.S. was attempting to “derail” potential peace agreements could be equally subject to suspicion. However, the specific timing of such an attack turned out not to be an isolated incident. In at least two other known cases U.S. drones attacked tribal area people and infrastructure in what appears to have been an attempt to sabotage ceasefire/neutrality agreements with area militants and the government of Pakistan. Lending more credibility to the notion that the U.S. attacks were aimed at squashing a potential truce between the Pakistani government and the tribal area militants is the fact that there was no ostensible, declared, or even suspected “high value target” present at the scene of the October bombing. In fact, the strike was arguably the most blatant attack—and the most deadly—on a civilian population that the U.S. has carried out in Pakistan thus far. It has been confirmed that 82 people were killed in the strike on the religious school. While most of the victims were young male students in their early twenties “12 of them were said to be children in their early teens.” The fact that there was zero conceivable military advantage to the attack is further evidence that the strike may have been carried out for purely political reasons. In another similar, more recent example, on October 21, 2009, a U.S missile strike in South Waziristan killed twelve people, likely including several children while maiming at least two girls, aged four and six. The strike was politically significant because, according to AP reports, “it hit territory controlled by Hafiz Gul Bahadur, a militant leader the [Pakistani] army has coaxed into remaining neutral during the [army’s] offensive against the Mehsud faction in South Waziristan.”Pakistan’s military incursion into South Waziristan has been widely recognized as a policy derived from heavy and escalating U.S. pressure to confront tribal area militant strongholds in service of U.S. interests in occupied Afghanistan.The AP article goes on to report that the government of Pakistan “considers Bahadur, along with militant leader Maulvi Nazir of South Waziristan, lesser priorities because they focus on battling U.S. and NATO troops in Afghanistan, not targets inside Pakistan.” Combined with the aforementioned examples, this fact lends serious credibility to the notion that the U.S. government indeed had a very strategic interest in using violence to destroy any neutrality agreements between Bahadur controlled militants and the Pakistani government. Furthermore it is not clear that any significant militant leader was being specifically targeted in the strike. A suspected al-Qaeda explosives expert, Abu Musa al Masri, was initially reported to have been killed in the attack, but U.S. intelligence officials have been admittedly unable to confirm this claim. It is worth noting that al Masri has been falsely reported dead on at least two prior occasions as well. Lastly, when considering the regional events which have unfolded in the months and years that have passed since the May 2008 strike and the October attacks of 2006 and 2009, it is not unrealistic or irrational to suspect that the U.S. indeed was pursuing a very real interest in blocking any sort of settlement between tribal militants and the Pakistani government. While it is not the purpose of this analysis to explore the entire geopolitical context of US-Pakistan-Afghanistan relations, it is certainly beyond reasonable debate that in the past several months—indeed since the Obama administration took office—the U.S. has strongly pushed and pressured the government of Pakistan to wage massive counterinsurgency campaigns against suspected militant strongholds in areas under Pakistani authority and sovereignty, as was seen, for example, in the Pakistani Army’s ruthless operation in the SWAT Valley in April and May of 2009, as well as the army’s incursion into South Waziristan which was launched in mid-October of 2009. The purpose of raising questions in these cases regarding the purpose of individual U.S. attacks is to determine the legal implications of the nature of the strikes. If indeed the United States attacked on one or more occasions targets in Pakistan with the purpose of inflaming tensions between militants and the government in order to sabotage attempts at establishing a truce or ceasefire, the U.S. is potentially guilty of severe violations of the most fundamental rules of international law in making “the civilian population…the object of attacks,” in the pursuit of a political goal (Section 2 of Article 51). Nonetheless, regardless of the political purpose of the attacks reviewed in this particular case study, it appears that serious violations of international law were likely committed by the U.S. in terms of discrimination and proportionality, possibly amounting to serious war crimes. Case Study #4 contains accounts of two separate drone attacks. They have been grouped together in the interest of concision, and on the basis that the two incidents are characteristically similar and represent uniquely worrying developments in U.S. drone policy. It is almost certain that drone operatives were aware that the three militants had indeed left the area long before the strike was launched. If the drone operatives were keeping such close surveillance on the area as to notice the otherwise insignificant occurrence of three traveling men passing through the village, it is likely that they took note of the militants’ quick departure as well. The fact that the U.S. attacked the village the following day, well after the travelers had left, suggests that the bombing was intended to punish the villagers for feeding the ‘enemy’ by bombing their homes, in a clear attack on civilian noncombatants including several children. The attack was further likely meant to intimidate locals into not providing any hospitality or aid to suspected militants in the future. Just less than one month later (June 18th) in Raghzai, South Waziristan, a U.S. drone fired two missiles into a compound, killing one person. Immediately, locals rushed to the scene to rescue wounded survivors. The drone, still hovering over the area, seized the opportunity and fired an additional two missiles at the villagers who were attempting to attend to the wounded, killing 12 more people, 13 in all. It was suspected that “Taliban commander,” Wali Mohammed, may have been the initial target of the attack. Mohammed was reportedly not in the compound. This attack is significant for its deliberate targeting of local people who hurried to the site of the attack in an attempt to provide aid and assistance to those who were wounded in the initial strike. It again appears that drone operatives may have bombed and killed hospitable local villagers in an attempt to both punish and intimidate the general civilian population for its own purposes. Not only are attacks which are leveled against civilian noncombatants expressly prohibited under all circumstances, but moreover, international law—by both treaty and custom—specifically prohibits attacks on noncombatants seeking to provide aid to the wounded. Article 17(1) states that “the civilian population and aid societies…shall be permitted, even on their own initiative, to collect and care for the wounded, sick, and shipwrecked, even in invaded or occupied territories. No one shall be harmed prosecuted, convicted, or punished for such humanitarian acts.” It is reasonable to conclude, based on the available evidence that both the attacks of May 20th and June 18th likely constitute considerable breaches of fundamental principles and provisions of all standards of international law which are applicable in all armed conflicts. On Tuesday, June 23, 2009, hundreds of Pakistanis attended a funeral in the Makeen district of South Waziristan for a suspected Taliban leader who was killed in a drone strike earlier that morning. Towards the end of the funeral as people were giving their last prayers, three missiles were fired from at least two U.S. drones directly into the crowd of mourners. Various reports put the death toll at roughly 70-80 people. Conservative estimates suggest that at least 35 of the dead were local villagers, among them ten children between the ages of 5-10 years old and four local tribal elders. Doctors told journalists and reporters that “most of the injured brought to them were [elderly] people.” According to one report at least 45 civilians were killed. Another account suggested that “mostly civilians were killed in the strikes.” Every report agrees on the fact that no prominent or significant militant leader was harmed in the attack. These prohibitions on attacking places of worship render any claims of the June 24th funeral strike being a legitimate attack null and void, regardless who might have been in attendance. No reasonable standard of what constitutes a military objective or military character could possibly be applied to an unsuspecting crowd of mourners and worshippers praying at a funeral. Up until now, for the sake of evaluating the substance and results of the U.S. drone campaign in Pakistan, I have been tacitly assuming that the drone strikes are legitimate under international law as long U.S. operatives take proper precautions and distinguish between civilian and military objects. Virtually all mainstream commentary in the United States—critical or otherwise—on U.S. drone policy functions with the fundamental presupposition that the U.S. government has the right to target and kill suspected leaders of militant organizations at its own discretion. While making note of the close security and intelligence relationship shared by the U.S. and Pakistan, Amnesty International observed the fact “that the USA believed they knew the location of suspects, [which] suggest[s] that it may have been possible to attempt to arrest the suspects in order to bring them to trial” rather than simply making assassination attempts. “The failure to attempt such arrest,” AI continued, “points to a policy of elimination of suspects and a deliberate disregard of the duty to prosecute in a fair process.” Although Amnesty was making reference to one particular attack, the same principles clearly could apply to all U.S. attempts at targeted killings of “high value targets” in Pakistan. In the past, several U.S. administrations have attempted to legally justify their authority to arbitrarily assassinate people on the grounds that longstanding executive orders banning extrajudicial executions do not apply to anyone declared to be an “enemy commander.” This interpretation has no legal significance or acceptance among independent human rights groups, the International Court of Justice, the ICRC, the United Nations Council for Human Rights, or any other legitimate authority on international law. In fact, such an interpretation is virtually indistinguishable from the Bush administration’s claim that those whom the U.S. declare to be “enemy combatants” are not entitled to human rights protections and Prisoner of War status guaranteed to them under the Fourth Geneva Convention. Of course, these legal distortions have since been widely discredited, even rejected as illegitimate by David Petraeus, the Commanding General of the “Multi-National Force” in Iraq under former President Bush. The prohibition on extrajudicial executions is a core principle of both treaty law and customary law. U.S. drone attacks in this sense differ from the obviously illegal act of shooting a suspect on his knees in the back of the head with handgun only in that U.S. attacks often kill defenseless civilians at high rates, who often have no meaningful relation to any military conflict. In this analysis of U.S. drone policy towards Pakistan I have reviewed the most prominent and mainstream casualty reports, numerous independent accounts compiled by journalists and human rights workers, and have generally drawn from an extremely diverse, credible, and international collection of media reports chronicling the details of several drone attacks over a period of 45 months. Using a broad range of international legal conventions, protocols, covenants, customs, and high court rulings, I have sought in earnest to determine the legal status of U.S. actions and policy. Based upon these uncontroversial and universal standards of law it appears beyond any reasonable legal objection that the United States in its nearly four year policy of bombing Pakistan with unmanned aerial vehicles is guilty of a very large amount of war crimes, including failure to take proper precautions in the interest of protecting civilian life, failing to discriminate between military and civilian objects, disproportionate attacks, extrajudicial executions, committing acts of hostility and violence against places of worship, direct attacks on the civilian population and individual civilians, willful attacks on civilians seeking to provide assistance to the wounded, and making civilian objects the object of attack and reprisal. Recalling the judgment of the International Criminal Court which ruled that indiscriminate attacks qualify as direct attacks against civilians and recognizing the nature of the strikes reviewed in Case Studies 3-5 in particular, it is the opinion of this analysis that the actions of the U.S. government in respect to its bombing campaign in Pakistan appear to have been often intended to intimidate or coerce civilian populations and to influence the conduct of the Pakistani government through violence. It is also certain that indiscriminate attacks, direct attacks on civilians, and extrajudicial assassinations would be clear violations of the criminal laws of the United States or of any other State. Nevertheless, the documentary evidence of the nature, practice, and results of U.S. bombings juxtaposed with well-established principles of international law suggests the near-certainty of the commission of many war crimes over a sustained period of time on the part of the United States government. In light of these implications, it is the opinion of this analysis that the U.S. government should declare an immediate and unconditional moratorium on drone strikes and “targeted killings” of any kind, in Pakistan or elsewhere. It is also the opinion of this analysis that an independent fact-finding commission should be appointed by the United Nations to gather data and testimonies in order to investigate these allegations further. In the United States, representative government bodies should immediately take measures to declassify CIA and State Department documents regarding existing legal memos on the use of targeted killings and all other relevant information concerning the human costs of the drone policy. Congress might also subpoena officials from both the Bush and Obama administrations and the Central Intelligence Agency to testify under oath to this end. If indeed it is determined by either Congress or the UN fact finding commission that abuses and violations have likely taken place, those responsible should be charged and tried in the International Criminal Court, in accordance with reasonably analogous precedents and the basic guidelines of international law. Max Kantar is an independent writer and Michigan based human rights activist. He frequently writes on U.S. foreign policy, the Israeli-Palestinian conflict, social justice, and mainstream American media coverage. He can be contacted at [email protected]. Drones are unmanned aerial vehicles (military aircraft without people inside them) which are operated by computer remote control. The drones are capable of carrying several Hellfire missiles and multiple 500-pound laser-guided bombs. Drones are also used extensively for surveillance purposes. In the case of US strikes in Pakistan, the drones are guided and monitored from Creech Air Force base in the state of Nevada. It is not matter of certainty where the actual drones are launched from. Although it was previously assumed that the drones were being launched from military bases in Afghanistan, Senator Diane Feinstein told a U.S. Senate hearing in February that the drones were being flown from an air base inside Pakistan. Amir Mir, “60 drone hits kill 14 al-Qaeda men, 687 civilians,” The News, April 10, 2009, http://www.thenews.com.pk/top_story_detail.asp?Id=21440. Peter Bergen and Katherine Tiedemann, “The Drone War,” The New Republic, June 3, 2009, http://www.newamerica.net/publications/articles/2009/drone_war_13672. David Kilcullen and Andrew Exum, “Death From Above, Outrage Down Below,” New York Times, May 17, 2009. It should be noted though that the authors did express reservations about the certainty or lack thereof regarding the casualty numbers provided in the April report published in The News. However, given Kilcullen’s repeated endorsement of the April report, readers might reasonably attribute this mild reservation to Exum. Daniel L. Byman, “Do Targeted Killings Work?,” Brookings, July 14, 2009, http://www.brookings.edu/opinions/2009/0714_targeted_killings_byman.aspx. “About Brookings,” Brookings, http://www.brookings.edu/about/reputation.aspx. See the reports linked for Think Tank Index and Fairness and Accuracy in Reporting. Peter Bergen & Katherine Tiedemann, “Revenge of the Drones: An Analysis of Drone Strikes in Pakistan,” The New America Foundation, October 19, 2009, http://www.newamerica.net/publications/policy/revenge_drones. CNN, “Official: Al Qaeda weaons expert likely killed in U.S. airstrike,” July 29, 2008, http://www.cnn.com/2008/WORLD/asiapcf/07/29/pakistan.strike/index.html. Craig Whitlock, “The New Al-Qaeda Central,” The Washington Post, September 9, 2007, http://www.washingtonpost.com/wp-dyn/content/article/2007/09/08/AR2007090801845.html. Anwarullah Khan, “82 die as missiles rain on Bajaur: Pakistan owns up to strike; locals blame US drones,” DAWN, October 31, 2006, http://www.dawn.com/2006/10/31/top1.htm. Note: In regards to the title which suggests that the Pakistani government may have been responsible for carrying out the strike, this claim has since been categorically abandoned by the Pakistani government. It is now a matter of zero controversy that US drones were indeed responsible for the attack, just as the locals had been saying all along. Bergen and Tiedemann also are apparently unaware of this development as they noted reservations about the identity of the attacker. For clarification: Christina Lamb, “US carried out madrasah bombing,” The Sunday Times, November 26, 2006, http://www.timesonline.co.uk/tol/news/world/article650044.ece. ‘Unconfirmed’ or ‘unidentified’ in this instance refers to the legal status (rather than the name) of those killed in drone attacks. Bergen & Tiedemann, “Revenge of the Drones.” See appendix 2. It is worth mentioning that for 2009, and generally speaking, a considerable majority of the media reports cited relies heavily, if not exclusively, on statements from government sources. Such information should be reviewed with general skepticism for the reason that, as virtually every independent observer has acknowledged, civilian casualties are inevitable in drone strikes due to, among other factors, the poorly constructed tribal infrastructure, systematically unreliable intelligence, the civilian nature of the areas surrounding suspected compounds, and the civilian nature of many of the objects attacked by drones (such as homes). CNN, “U.S. airstrikes in Pakistan called ‘very effective,'” May 18, 2009, http://www.cnn.com/2009/POLITICS/05/18/cia.pakistan.airstrikes/. Gareth Porter, “US-Pakistan: CIA Secrecy on Drone Attacks Data Hides Abuses,” Inter Press Service News Agency, June 12, 2009, http://ipsnews.net/news.asp?idnews=47196. International Humanitarian Law – Treaties and Documents, “Geneva Conventions of 1949 & Additional Protocols,” International Committee of the Red Cross, http://www.icrc.org/ihl.nsf/CONVPRES?OpenView. Any reference made to the Geneva Conventions and its Additional Protocols henceforth can be cross checked or reviewed here where the full text of all four conventions and all three protocols can be accessed. Office of the United Nations High Commissioner for Human Rights, “International Covenant on Civil and Political Rights,” http://www2.ohchr.org/english/law/ccpr.htm. Any reference made to the International Covenant on Civil and Political Rights henceforth can be cross checked or reviewed here where the full text of the Covenant can be accessed. http://encarta.msn.com © 1997-2009 Microsoft Corporation. It is widely understood that the fear of “legitimizing national liberation movements” had much to do with Palestinian nationalism (the PLO) and resistance to US-backed Israeli occupation. It is also likely that this object stemmed largely in part from longtime US fears of what postwar planners called “radical third world nationalism,” meaning quite literally, popular movements in poor countries aimed at improving the living standards of the poor majority at the expense of catering to foreign investors. “Geneva Conventions,” Microsoft® Encarta® Online Encyclopedia. “Statute of the Court,” International Court of Justice, http://www.icj-cij.org/documents/index.php?p1=4&p2=2&p3=0. Cornelio Sommaruga, “Appeal by the International Committee of the Red Cross on the 20th anniversary of the adoption of the Additional Protocols of 1977,” International Review of the Red Cross, http://www.icrc.org/web/eng/siteeng0.nsf/html/57JNUX. “The Prosecutor v. Stanislav Galic: Judgment and Opinion,” Netherlands Institute of Human Rights, December 12, 2003 (http://sim.law.uu.nl/sim/caselaw/tribunalen.nsf/6c3f0d5286f9bf3cc12571b500329d62/31f622000d199e48c12571fe004be26e?OpenDocument). See the second heading, “Attack on Civilians as a Violation of the Laws or Customs of War” and correspondingly, section 57.
 International Committee of the Red Cross, “List of customary rules of international humanitarian law,” March 31, 2005, http://www.icrc.org/web/eng/siteeng0.nsf/html/customary-law-rules-291008. To be clear, until otherwise stated, all following references to “Articles” of international law in respect to the case studies should be assumed to be derived from Additional Protocol I to the 1949 Geneva Conventions. Jane Perlez and Pir Zubair Shah, “U.S. attack on Taliban kills 23 in Pakistan,” New York Times, September 9, 2008. “Civilian deaths in Pakistan attack,” Al Jazeera English, September 8, 2009, http://english.aljazeera.net/news/asia/2008/09/2008985226998512.html. Habibullah Khan and Brian Ross, “U.S. Strike Killed Al-Qaeda Bomb Maker,” ABC News, January 18, 2006, http://abcnews.go.com/WNT/Investigation/story?id=1517986. Christina Lamb, “Airstrike misses Al-Qaeda Chief,” The Sunday Times, January 15, 2006, http://www.timesonline.co.uk/tol/news/world/article788673.ece. Imtiaz Ali in Damadola and Massoud Ansari, “Pakistan fury as CIA airstrike on village kills 18,” The Daily Telegraph, January 15, 2006, http://www.telegraph.co.uk/news/worldnews/asia/pakistan/1507895/Pakistan-fury-as-CIA-airstrike-on-village-kills-18.html. Amnesty International, “Pakistan: US involvement in civilian deaths,” January 31, 2006, http://www.amnestyusa.org/document.php?lang=e&id=ENGASA330022006. It has been well documented by Human Rights Watch as well as others that Pakistani security forces routinely torture prisoners and detainees. It is simply rational to assume that a fairly high-level al-Qaeda operative like al-Libi was also tortured into providing, what turned out to be, false information. Bobby Ghosh and Mark Thompson, “The CIA’s Silent War in Pakistan,” TIME, June 1, 2009. Declan Walsh, “Mysterious ‘chip’ is CIA’s latest weapon against al-Qaida targets hiding in Pakistan’s tribal belt,” The Guardian, May 31, 2009. Jason Burke, “Al-Qaeda chief dies in missile air strike,” The Guardian, June 1, 2008. “The Prosecutor v. Stanislav Galic: Judgment and Opinion,” Netherlands Institute of Human Rights. Again, see the second heading, “Attack on Civilians as a Violation of the Laws or Customs of War” and correspondingly, section 57. Anwarullah Khan, “12 killed in drone attack on Damadola,” DAWN, May 15, 2008, http://www.dawn.com/2008/05/15/top5.htm. Hussain Afzal and Nahal Toosi, “Missile strike could complicate Pakistan battle,” Associated Press, October 21, 2009, http://wire.antiwar.com/2009/10/21/missile-strike-could-complicate-pakistan-battle/ (accessed November 15, 2009). Bill Roggio, “Al Qaeda commander reported killed in US airstrike,” The Long War Journal, October 21, 2009, http://www.longwarjournal.org/archives/2009/10/al_qaeda_commander_r_1.php (accessed November 15, 2009). Kathy Kelly, “Visitors and Hosts in Pakistan,” The Huffington Post, June 9, 2009, http://www.huffingtonpost.com/kathy-kelly/visitors-and-hosts-in-pak_b_213472.html. Kathy Kelly, “Now We See You, Now We Don’t,” The Huffington Post, June 25, 2009, http://www.huffingtonpost.com/kathy-kelly/now-we-see-you-now-we-don_b_220578.html. Pir Zubair Shah, “Pakistan Says U.S. Drone Kills 13,” New York Times, June 19, 2009. Mushtaq Yusufzai, Irfan Burki and Malik Mumtaz, “No prominent militant killed in drone attack,” The News, June 25, 2009, http://www.thenews.com.pk/top_story_detail.asp?Id=22926. 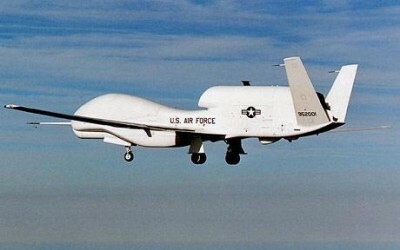 “‘US Drone’ hits Pakistan funeral,” Al Jazeera English, June 24, 2009, http://english.aljazeera.net/news/asia/2009/06/20096244230395712.html. “Missile attacks kill 50 in South Waziristan,” DAWN, June 24, 2009, http://www.dawn.com/wps/wcm/connect/dawn-content-library/dawn/news/pakistan/04-suspected-us-drone-strikes-swaziristan-qs-03. Office of the United Nations High Commissioner for Human Rights, “International Covenant on Civil and Political Rights.” See note 19 for link. International Humanitarian Law – Treaties and Documents, “Geneva Conventions of 1949 & Additional Protocols,” International Committee of the Red Cross. See note 13 for link. Agence France-Presse, “US Drone Strikes May Break International Law: UN,” CommonDreams.org, October 28, 2009, http://www.commondreams.org/headline/2009/10/28 (accessed November 15, 2009). Scott Horton, “Petraeus: Bush Administration Violated Geneva Conventions,” Harper’s Magazine, June 1, 2009, http://www.harpers.org/archive/2009/06/hbc-90005079. Find Law, “Cases and Codes: US Code,” http://www.findlaw.com/casecode/uscodes/. Search Title 18, Section 2331. Jane Perlez, “Pakistanis Continue to Reject U.S. Partnership,” New York Times, September 30, 2009.